In high school and college, every club, organization, or class that needed to raise money for whatever reason had one go-to method for fundraising: bake sales. Stick some homemade treats in a high traffic area, put a price on them, and students will come out in droves to support your cause buy your desserts. 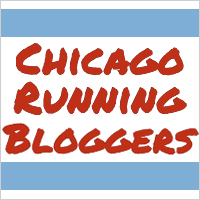 As you may or may not know, this year, I’ll be running the Chicago Marathon on behalf of the Organization for Autism Research, which aims to apply research to the challenges of autism. Back in my camp counselor days, I spent a lot of time with children with autism, and they had a major impact on my life. I really believe in the work OAR does, and I’m excited to fundraise for them with my running. Though I may not be able to set up a table in an actual high traffic area to raise funds for OAR, I do have a blog that gets far more traffic than, say, my desk at work, so I figured I’d utilize my corner of the Internet as my substitute main hallway/quad and set up a little bake sale right here. – For a $8 donation, you will receive half a batch of any baked good of your choosing (amount varies by recipe, but we’re talking anywhere between half a pan of brownies and more than a dozen cookies). – For a $15 donation, you will receive a full batch of any baked good of your choosing. – For a $25 donation, you will receive two full batches of any baked goods of your choosing (and yes, they can be two different recipes). This branch of the bake sale starts today and runs through June 25. If you make a donation to my page, you’ll need to e-mail me at accidental.intentions.blog@gmail.com to 1) tell me you’ve donated and 2) tell me which baked good(s) you would like. Exciting stuff, right? But wait! There’s more! Branch Two: bidding on treats generously donated by other bloggers. A few fellow bloggers have agreed to collaborate with me on this bake sale and have thoughtfully offered to put a favorite recipe from their blog up for auction! For these items, bidding will start at $15. At the end of the sale, the person with the highest bid on an item will receive the baked good of their choosing! Bidding will only be open on June 25–don’t worry I’ll give you plenty of reminders 🙂 To bid, you will, once again, need to e-mail me at accidental.intentions.blog@gmail.com with your bid. I will have a post up on June 25 detailing the items up for bid, and that post will be updated throughout the day with the current highest bid for each item. Bidding will close at 9 p.m. Central Time on June 25, and I will e-mail each winner. Please feel welcome to share this bake sale with anyone you know that may be interested, blogger or otherwise. Of course, if you’d like to support my fundraising for OAR without purchasing or bidding on any baked goods, you are more than welcome to simply make a donation as well. Disclaimer: While all the bloggers involved in this bake sale, including myself, will do our best to guarantee that our baked goods arrive to you in top condition and will prepare our baked goods in a safe manner, we assume no responsibility or liability for any damage that may occur during shipping or any illness, including, but not limited to, allergic reactions, that may result. If you have any food allergies, sensitivities, or restrictions, please be aware that we cannot guarantee that our kitchens are completely free of allergens. Umm … I want it all. Don’t make me choose!!!! !